Torrential rainfall has wreaked havoc in Japan, causing floods and landslides and killing around 100 people since July 5. And it’s not over yet. While the rain has reduced in certain areas, Japan’s meteorological agency has warned of more landslides as the water recedes. The Hiroshima prefecture is the worst-affected area and Kyoto, which is 300 km to the east of Hiroshima, has also been hit by the “historic” downpour. The number of people believed to be missing has crossed 50. In the past five days, western Japan has received three times the rainfall it gets in the entire month of July. 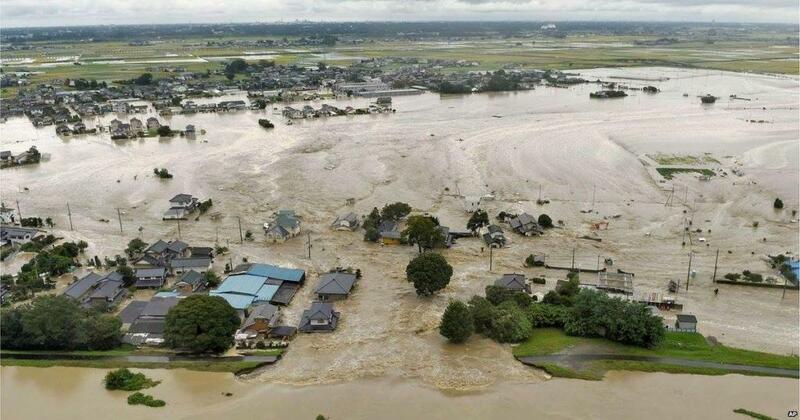 Motoyama, a town in Shikoku Island, witnessed 583 mm rainfall within 24 hours (between July 6 and 7). Moreover, the agency has issued warnings that the area may receive more than 250mm rainfall by Monday-end. Police, fire fighters, coast guards and the self-defence force have their 50,000 personnel working hard trying to rescue people stuck in their buildings or in the landslides. TV channels have shown rivers bursting their banks, bridges being broken, vehicles getting submerged in water and landslides destroying infrastructure. More than 30,000 people have been put up in emergency shelters and authorities have promised to move them to more comfortable and safer accommodations. “From tomorrow, a rise in the temperature has been forecast. We will continue to make efforts to ensure early relocation of people from the shelter,” tweeted Shinzo Abe, Japanese Prime Minister. The government asked 5.9 million people in the country’s 19 prefectures to evacuate their homes and move to a safer place over the weekend. Rains have brought misery to Japan quite a few times in the past. In 2011, the country was struck by two consecutive typhoons in August and September, which killed 100 people. Three years later, 70 people died in torrential rain-induced landslides in Hiroshima.